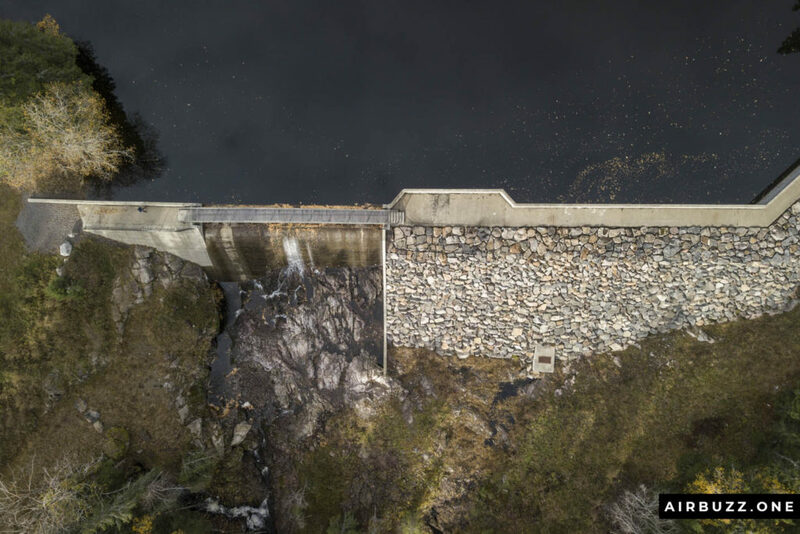 Bike and drone tour over dams and water! 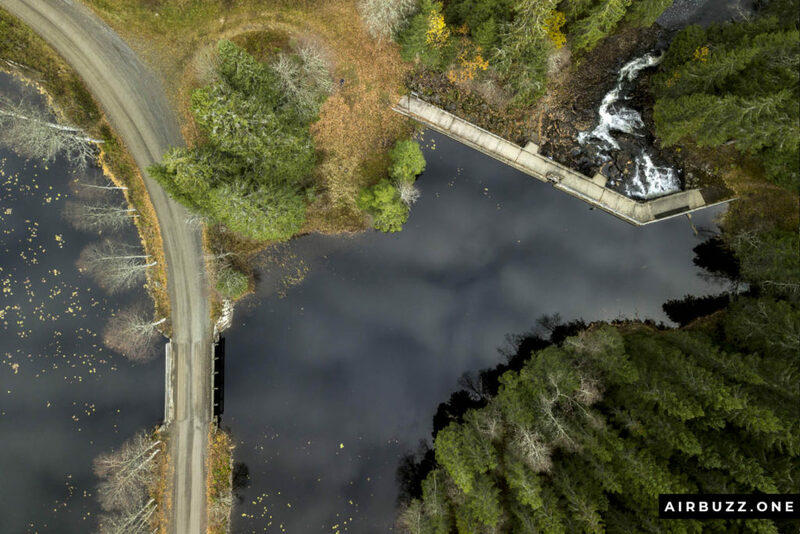 Droning above forest, dams and water reserves. 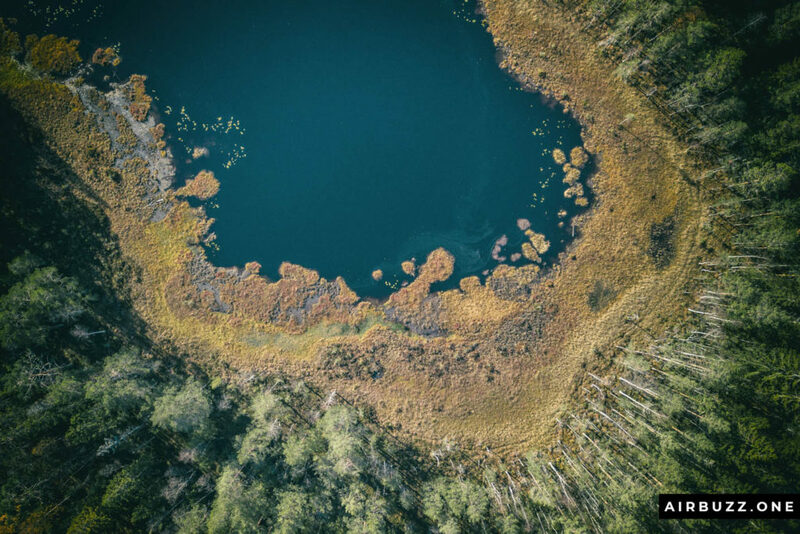 I while back I took my best Mavic Pro drone and took a long bike ride in the woods. 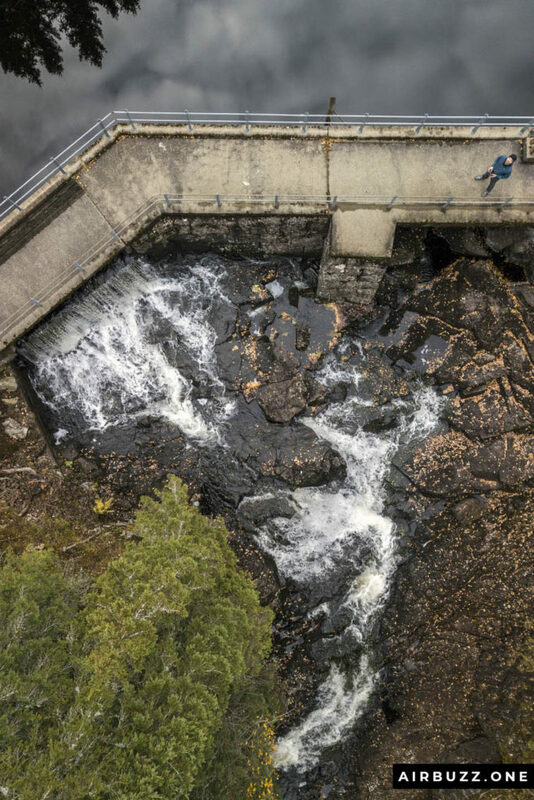 The goal for the whole trip was to shoot some aerial photos of an old dam north of Oslo. It was previously in a bad state with lots of decay and I thought it would look great from the air. 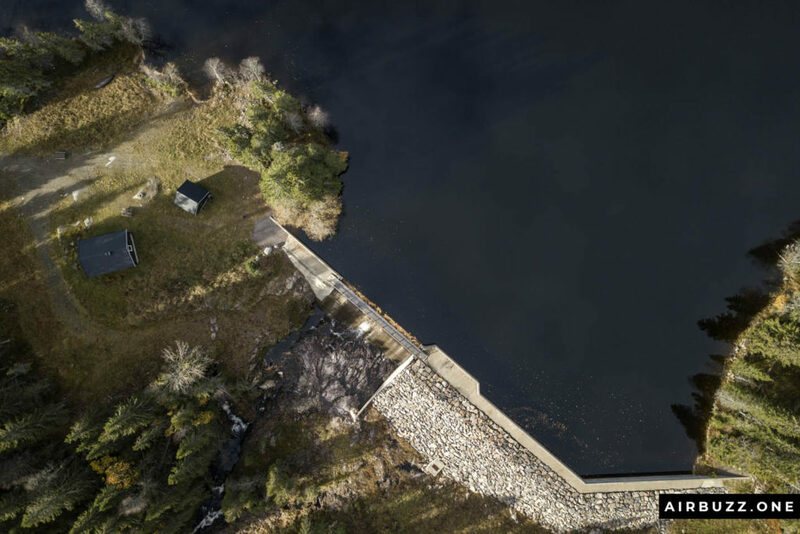 This particular concrete dam is situated at the south end of Langlivannet and was built in the period 1938-42 and is 38 meters tall. 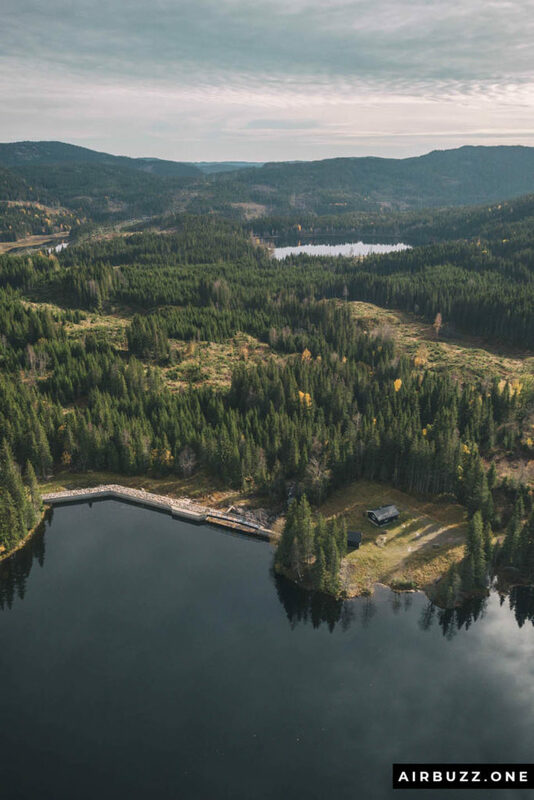 During the Second World War, the Norwegian resistance organization Milorg hid weapons in cavities near the dam. 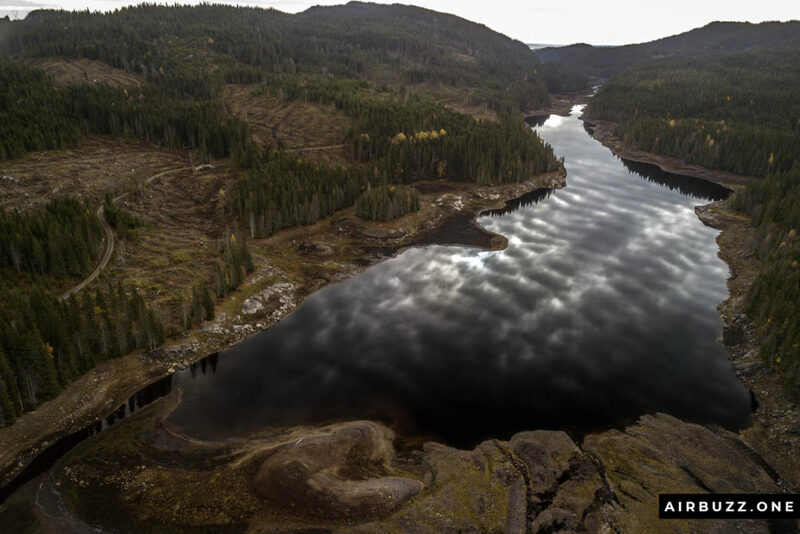 Now, it acts as a reserve for drinking water for Oslo. Previous article: Early morning drone flight over local marina and hometown! The whole, old dam, was under renovations with lots of workes and fences around. So I didn’t get any interesting photos of that place. 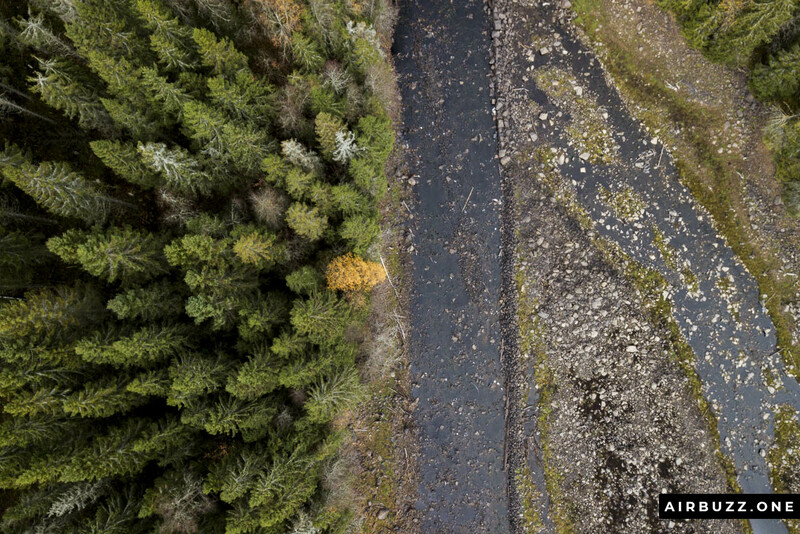 They had also emptied out most of the water in Langlivannet for the operation as you can see from the pictures below. I found a few couples of other nice dams that I got some cool photos of. Check them out below. The water level of Langlivannet was very low. I could see the bottom. This part is usually below water. 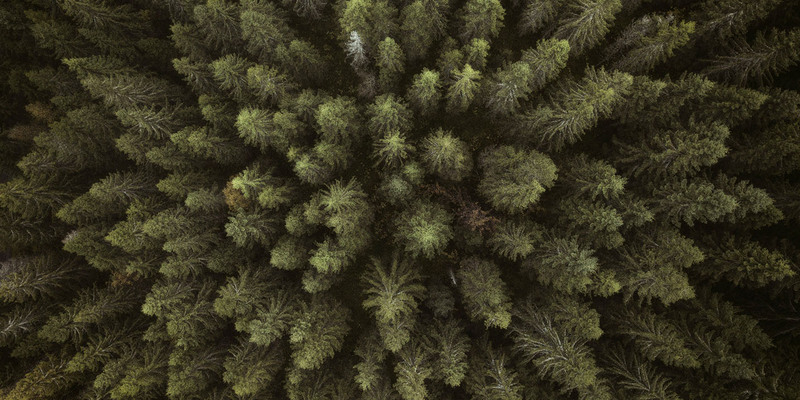 I had to take another classic “forest from above” picture. 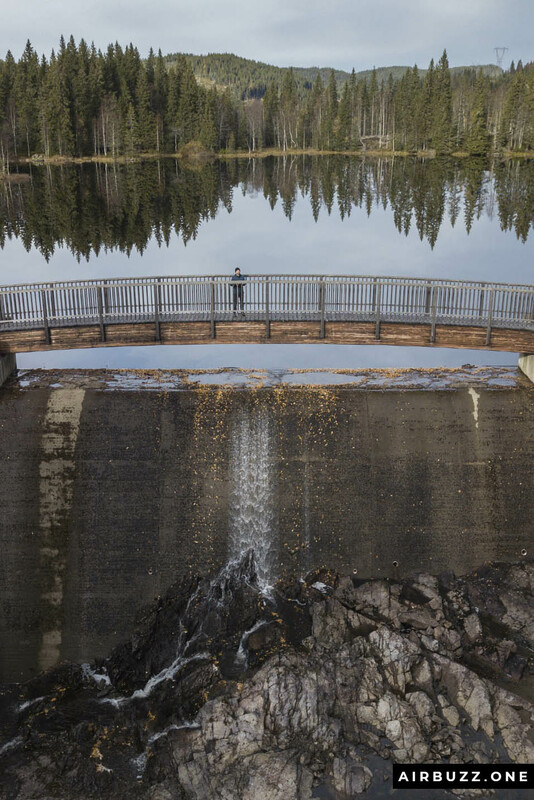 The Dam between Kringla and Langlivatnet and a beautiful bridge. 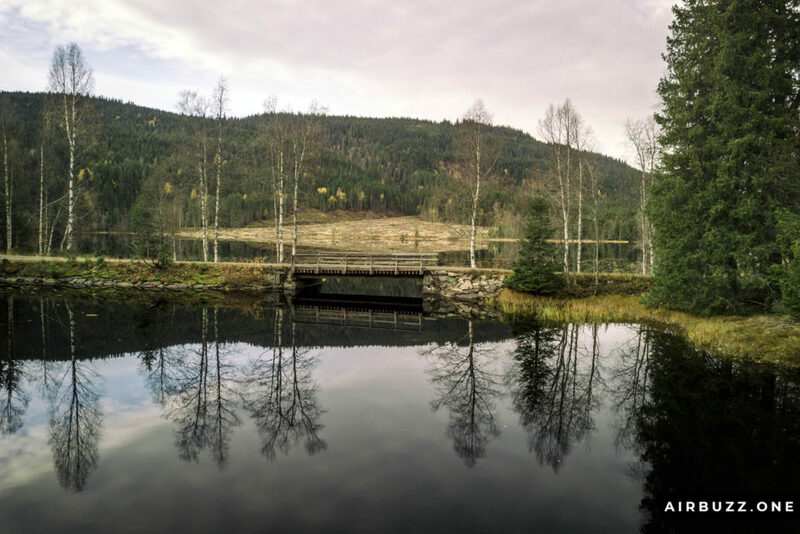 Further up the road, at the end of a lake called Kringla, I found a beautiful small bridge and another small dam made of rocks. 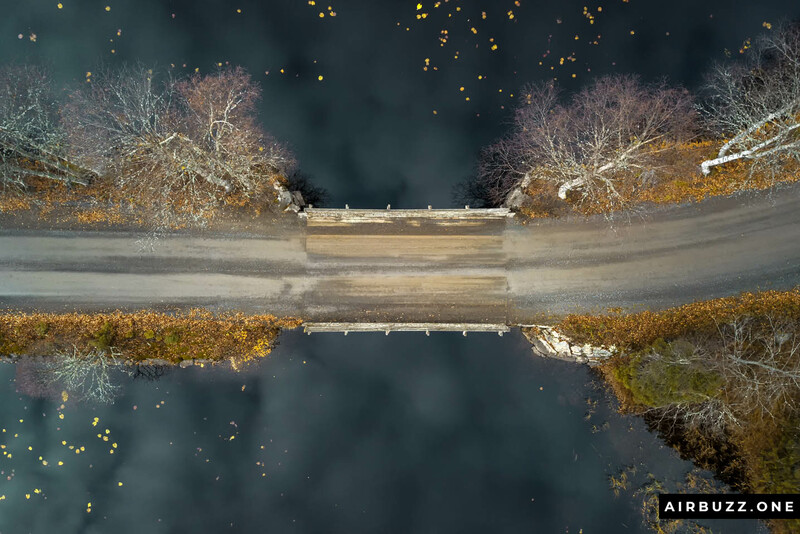 The drone picture shot from above the bridge is probably one of my favorites in this picture series. What do you think? The reflection of the clouds in the silent water and the autumn leaves that looks like flakes of gold looks surreal. I uploaded it to Flickr as well. Autumn bridge from above shot with a drone. Both the bridge and dam in the same shot. 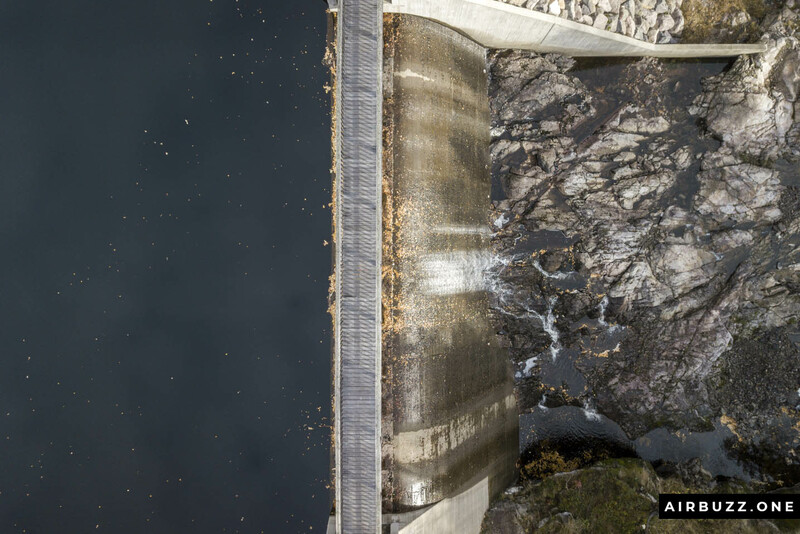 Me, the drone-pilot, standing on the dam. I followed the road further into the woods and found another even larger and newer dam. 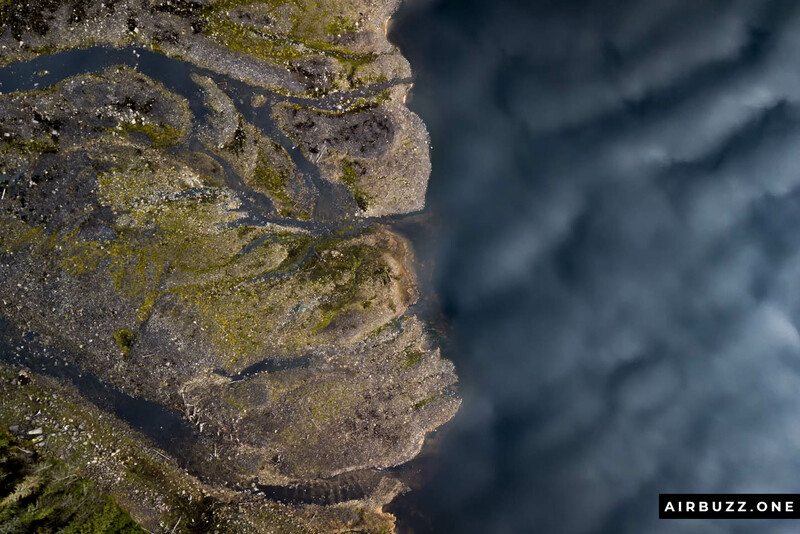 This is how it looked from above. Wide opening in the dam at Svarten. 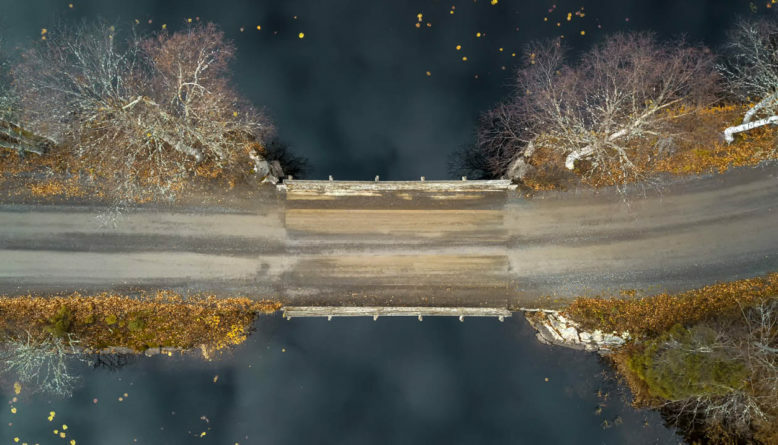 Drone shot from maximum height. View of Krokskogen and Nordmarka. On my way back I stopped at Kjelsåsputten and took a few shots. 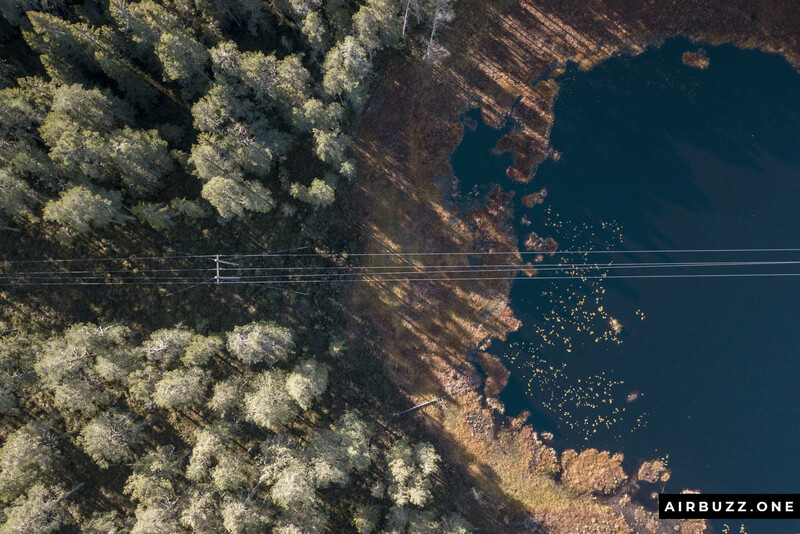 I had to watch the powerlines going straight across the small lake. That’s it for now. Hope you enjoyed the pictures. Sorry for the slow update on the posts these days. I’ve got a lot to do. I have also tested my FPV drone even more and it works perfectly, just needs a few adjustments. Eachine E012 is a surprisingly stable and fun ultra-mini drone! 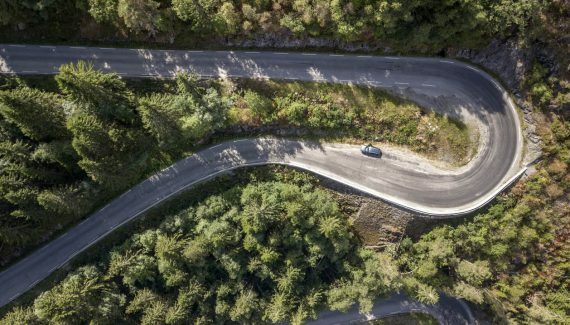 Drone photography of winding roads and a bridge! 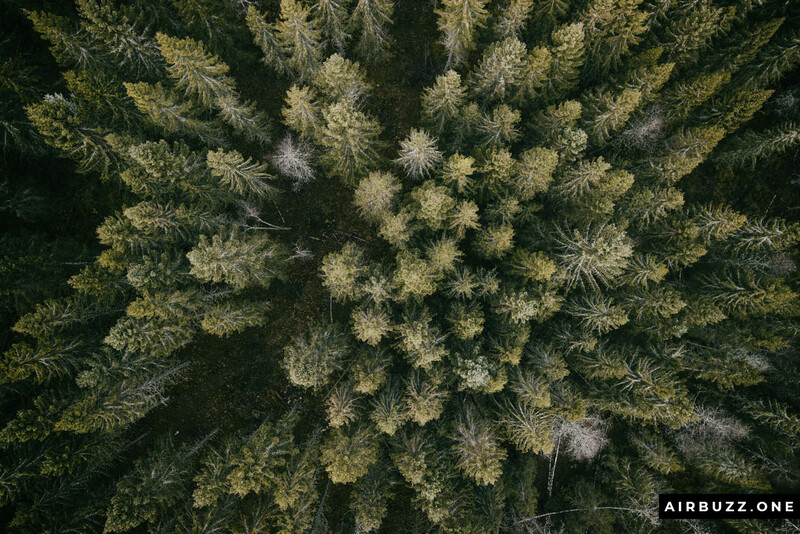 11 Mesmerizing drone pictures of trees from above!